Grover Norquist has a long history of helping his corporate donors lobby for tax subsidies and other gifts. Rather than acting as a principled taxpayer or anti-tax “activist,” as he’s referred to in the media, Grover Norquist has often used his nonprofit to further the interests of his financial backers. Last week, we showed how two billionaire-backed nonprofits provide over two-thirds of funds to Norquist’s foundation, Americans for Tax Reform. But that other third is important in understanding Norquist’s priorities on Capitol Hill. One aspect of the pledge is the promise not to raise rates; the other is to not cut tax credits (unless balanced with more rate cuts). In practice, the second part of the pledge is simply a promise to sustain any corporate tax subsidy under the sun. Although Norquist talks like other conservatives about opposing government waste, tax credits are economically equivalent to subsidies. The only difference between a multimillion-dollar targeted tax credit for an oil refinery in Rosemont, Minnesota, and a Department of Energy grant to the same refinery is the agency that administers the money. Yet in Norquist’s world, regardless of the policy merits, every targeted tax credit is like a “tax cut” that must be protected. Here’s an example of how this works. Take General Electric, which faced withering, bipartisan criticism last year when it was revealed that the company, thanks to a myriad of tax credits and other tax subsidies, had paid no federal income taxes in 2010. Norquist was there to defend the company in a chat with The Washington Post, arguing absurdly that removing billions in tax rebates to GE would just be a tax on consumers. Cutting GE’s tax credits, after all, would break the Norquist pledge. In a recently posted 2011 giving report, General Electric says it made a contribution of $50,000 to Norquist’s foundation that year. Consider that—GE gave more to Norquist in 2011 than it paid the IRS for income taxes in 2010, a year the corporation made $14.2 billion in profits. Though Norquist claims to protect all tax credits, he seems to divert a great deal of his attention towards powerful K Street interests. Disclosures reviewed by The Nation show that, from 2008 to 2011, the American Petroleum Institute, a trade association for oil and gas companies like Chevron and ExxonMobil, gave $525,000 to Americans for Tax Reform. Norquist’s pledge (and his foundation’s advocacy) transformed billions in taxpayer handouts into “tax cuts” that cannot be removed. In other words, Norquist is simply providing ideological cover for his benefactors in the oil industry. 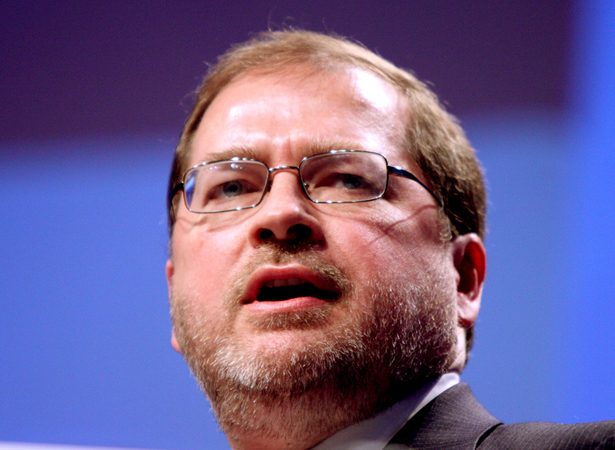 Sometimes, Norquist’s relationship with K Street has led to advocacy beyond taxes. As Republic Report noted last summer, Norquist’s foundation regularly receives large payments from the pharmaceutical lobby group PhRMA—and Norquist deviates from his market values to oppose efforts to import cheaper Medicare drugs from Canada. Whatever happened to free trade? By now, these sorts of grants and conflicts of interest should come as no surprise. Norquist is somehow the only corporate lobbyist in town who gets to avoid being tagged with the term. It’s a career that’s spanned almost two decades. Norquist later started his own lobbying firm, called Janus-Merritt Strategies, and signed up an elite set of clients, including most famously, Fannie Mae. In the late nineties, Microsoft invited representatives of Americans for Tax Reform to travel to Washington State for a three-day presentation (which included tickets to a Mariners game as well as dinner and entertainment at Seattle’s Teatro ZinZanni). Two days after returning from the trip, the foundation sent a letter to House Republicans urging them to cut deeper into the anti-trust division’s budget at the Department of Justice, the same unit pursuing Microsoft in a high-stakes legal case. Microsoft, The Washington Post noted, had paid Norquist $40,000 as a registered lobbyist for the company. The pattern repeats itself like clockwork. Phillip Morris pays Americans for Tax Reform; Norquist campaigns against cigarette taxes. Cell phone companies pay Americans for Tax Reform; Norquist campaigns against cell phone taxes and fees. Early in the Obama administration, Norquist sent a letter to FedEx, demanding that the company back off of an anti-UPS campaign website it hosted to fight off a measure that would enable FedEx employees to join a union. It was a surprising move for a conservative like Norquist, who has praised draconian efforts to curb organizing rights in states like Wisconsin. Yet its less surprising given the fact that UPS, through its charitable foundation, gave Americans for Tax Reform $25,000 only months after the letter. The most sordid examples come from the Senate investigation of Jack Abramoff’s lobbying. As the Associated Press reported, one of Abramoff’s clients, the Mississippi Choctaw tribe, worked out an arrangement in which Norquist would transfer $1.2 million in Choctaw money through his foundation, Americans for Tax Reform, for other Abramoff efforts. In exchange for laundering the money, Norquist kept a cut of $50,000 from two of the transfers. Somehow, Norquist emerged from the Abramoff scandal largely unscathed. Check out Lee Fang’s previous post about the two billionaire-backed non-profits that finance 66 percent of his budget.